Wyoming's Labor Law Poster compliance has never been easier! 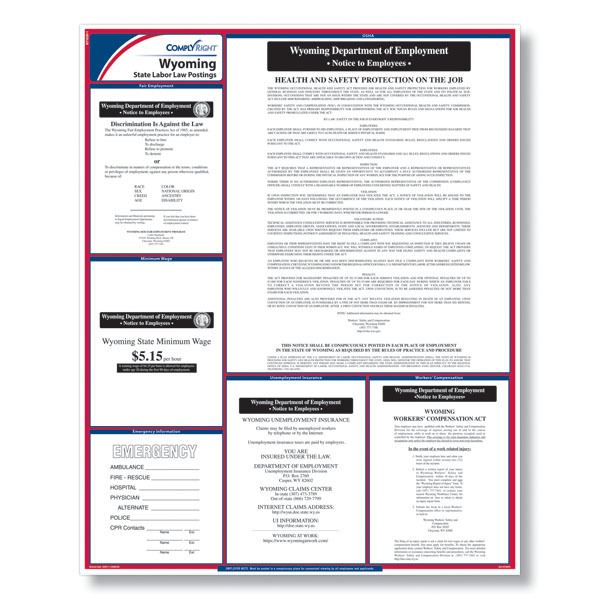 The ComplyRight Wyoming Labor Law poster provides worry-free compliance for every location in a convenient all-in-one laminated design that makes meeting your state's posting regulations easy. Poster size - 24" x 27"